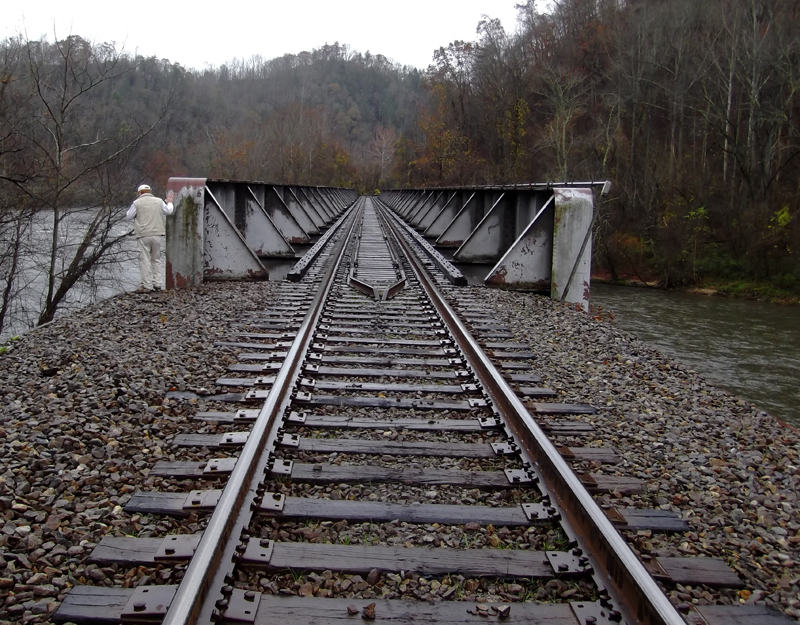 This is a N&S trestle over the French Broad River near Marshall NC. I don’t know why I keep posting pictures of these trestles…they all look alike. We’re at 35.777686, -82.649629. 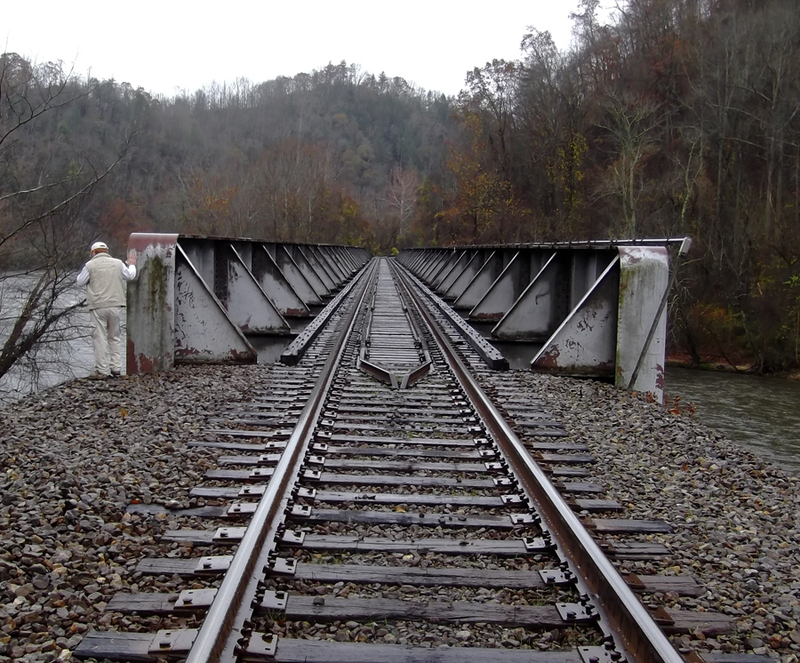 Trestle is around 687′ long. No date on it.